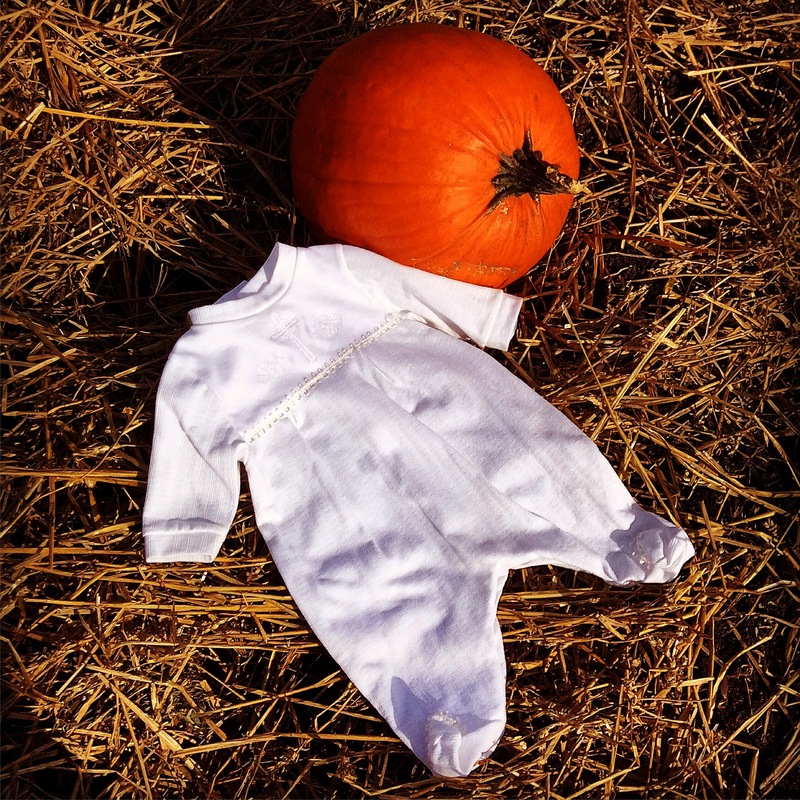 Babies live in footies, which are good for sleeping and for comfortable partying. 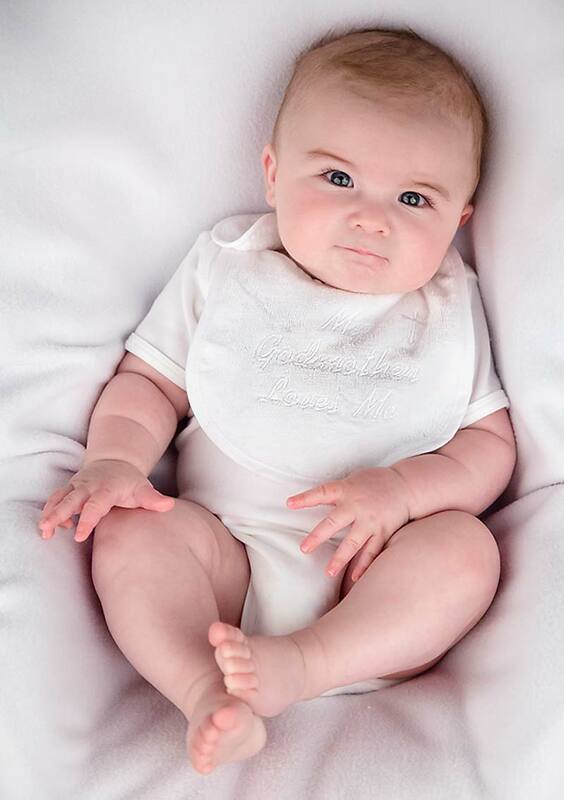 This footie is meant to be worn to the Christening Party after the Christening event, when something more comfortable is needed and baby can still be dressed appropriately for the day. 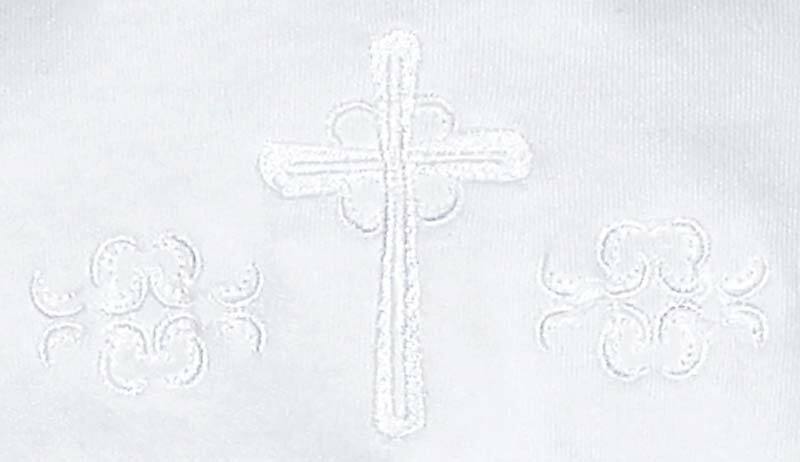 This embroidered cross footie is trimmed with a beautiful braid. 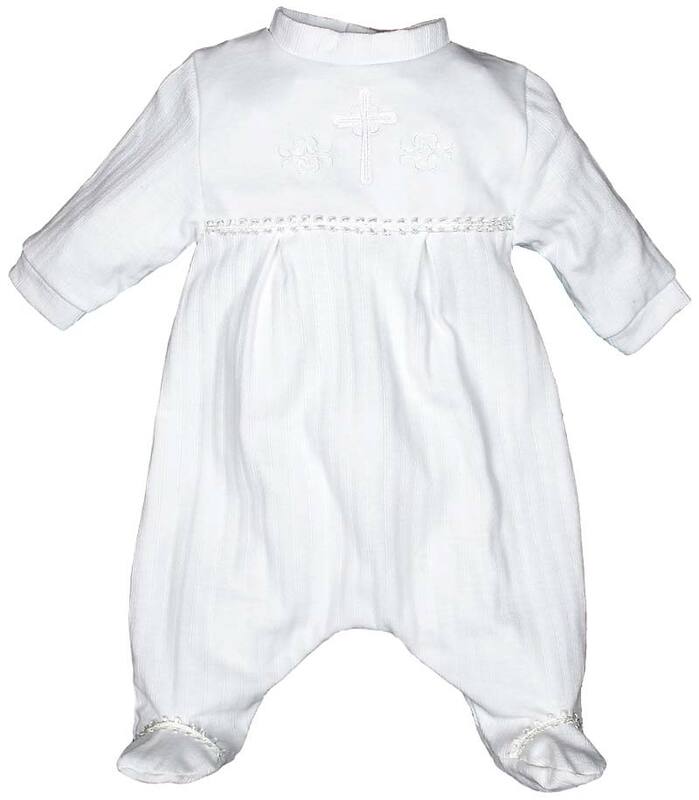 It can be worn for the actual Christening or Baptismal event, if a more casual outfit is desired. 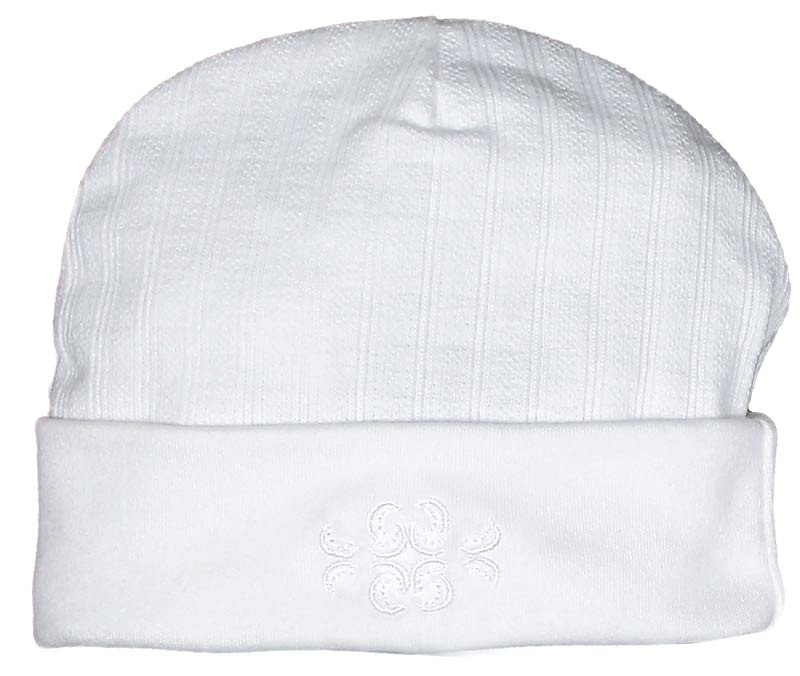 The footie is done in 100% cotton, textured ribbed interlock, not jersey, which means it will be softer on baby's delicate skin and it will wash and wear longer. 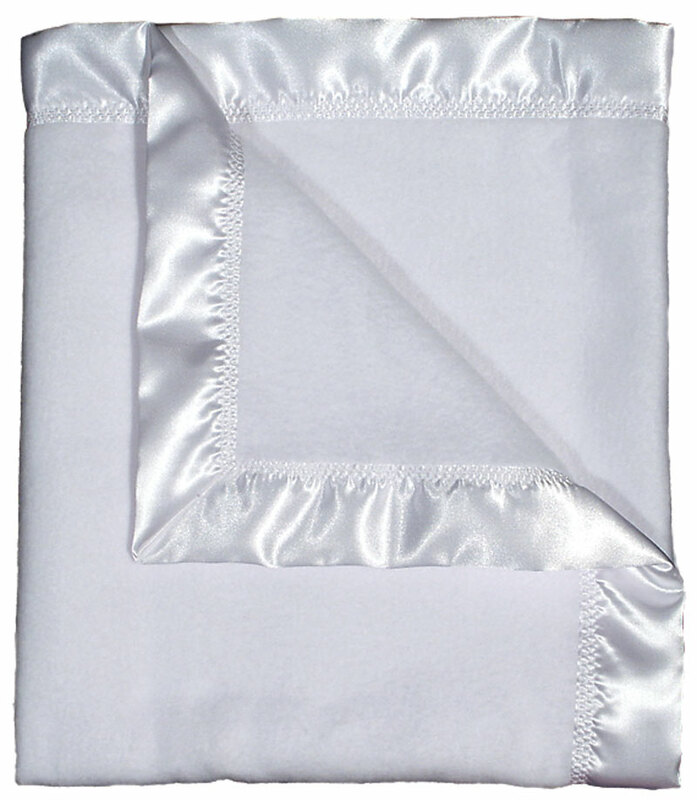 It is part of a larger Christening Party group that includes a gown, a receiving blanket, a cap and booties.This footie style is unisex, which is for a boy or a girl, as are most of the other items in this Quartz Christening Party group.